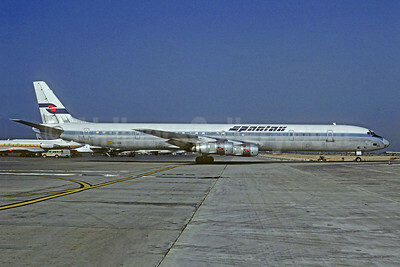 (formerly Spanish Air Taxi Lineas Aereas S.A.) (BX/BKS) (Madrid) 1961 - 1988. Photos. Framable Color Prints and Posters. Digital Sharp Images. Aviation Gifts. Slide Shows. 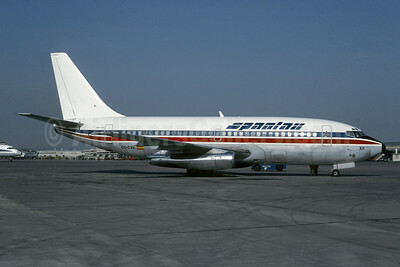 Spantax (Britannia Airways) Boeing 737-204 EC-DVE (msn 22639) (Jacques Guillem Collection). Image: 925831. 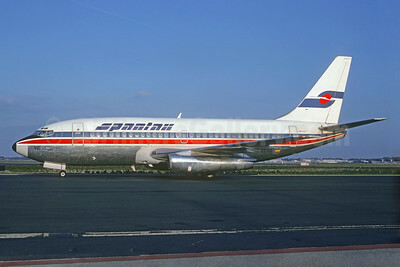 Spantax (Britannia Airways) Boeing 737-204 EC-DXK (msn 22638) (Britannia colors) PMI (Christian Volpati Collection). Image: 942843. 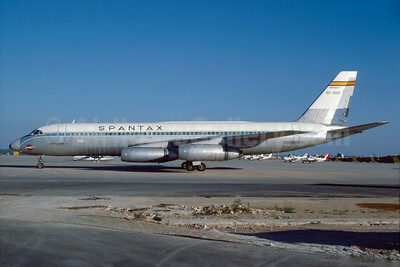 Spantax (United Aviation Services) McDonnell Douglas DC-10-10 N52UA (msn 46905) ORY (Jacques Guillem). Image: 925832. 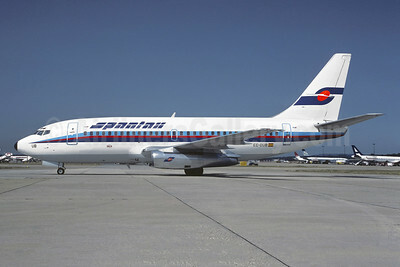 Spantax Boeing 737-2H4 EC-DZH (msn 20336) (Presidential colors) (Richard Vandervord). Image: 902585. Spantax Boeing 737-2K5 EC-DUB (msn 22598) LGW (Mike Axe - Christian Volpati Collection). Image: 946201. 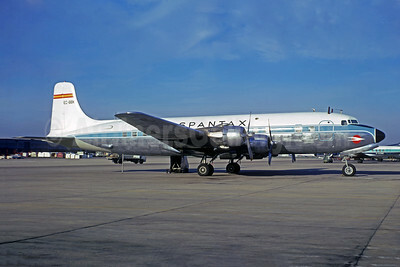 Spantax Convair 990-30A-5 EC-BZP (msn 18) PMI (Andreas Becker - Bruce Drum Collection). Image: 927800. 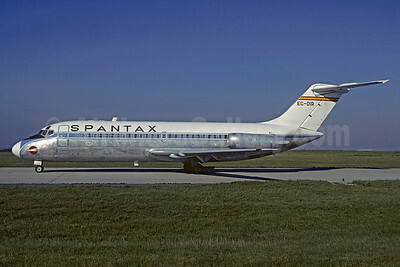 Spantax Convair 990-30A-6 EC-CNF (msn 8) LBG (Christian Volpati Collection). Image: 931365. 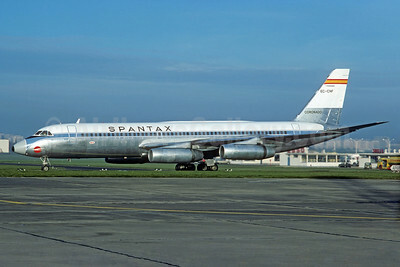 Spantax Convair 990-30A-6 EC-CNH (msn 17) CGN (Jacques Guillem Collection). Image: 939625. 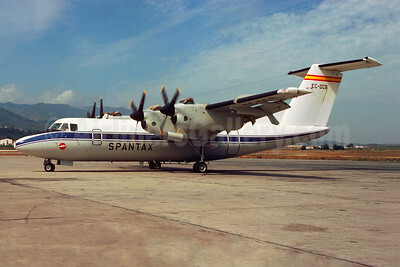 Spantax de Havilland Canada DHC-7-102 Dash 7 EC-DCB (msn 3) PMI (Jacques Guillem Collection). Image: 942842. Spantax Douglas DC-6B Swingtail EC-BBK (msn 44434) LGW (Jacques Guillem Collection). Image: 942839. 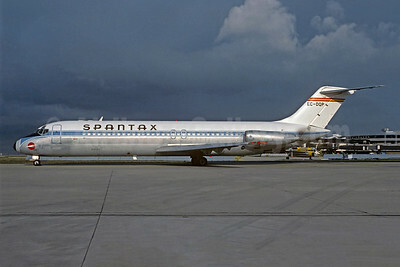 Spantax Douglas DC-9-14 EC-DIR (msn 45698) ORY (Jacques Guillem). Image: 906066. 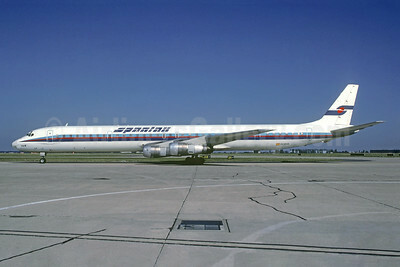 Spantax McDonnell Douglas DC-8-61 EC-DVB (msn 46037) ORY (Jacques Guillem). Image: 942841. 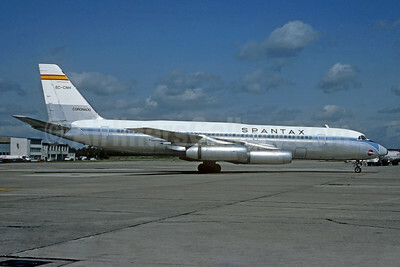 Spantax McDonnell Douglas DC-8-61CF EC-CCG (msn 45898) PMI (Christian Volpati Collection). Image: 942840. 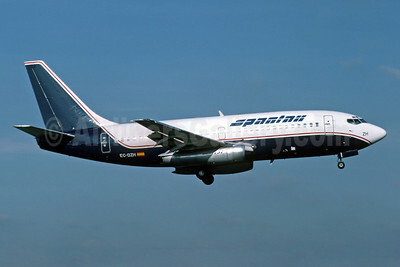 Spantax McDonnell Douglas DC-9-32 EC-DQP (msn 45792) ORY (Christian Volpati). Image: 925830. 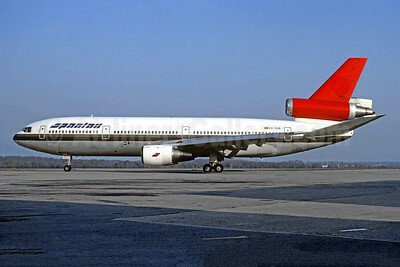 Spantax McDonnell Douglas DC-10-10 N917JW (msn 46727) (partial World Airways colors) ORY (Jacques Guillem). Image: 942837. 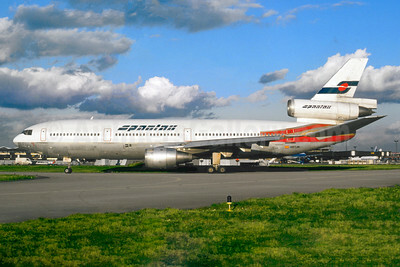 Spantax McDonnell Douglas DC-10-30 EC-DUG (msn 46576) (Swissair colors) ZRH (Christian Volpati Collection). Image: 942838. 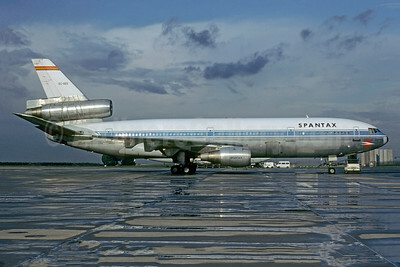 Crashed and burned on an aborted takeoff at Malaga, Spain on September 13, 1982. 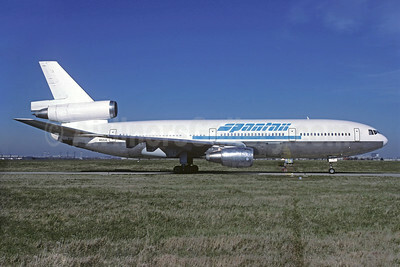 Spantax McDonnell Douglas DC-10-30CF EC-DEG (msn 46962) CDG (Christian Volpati). Image: 907395.